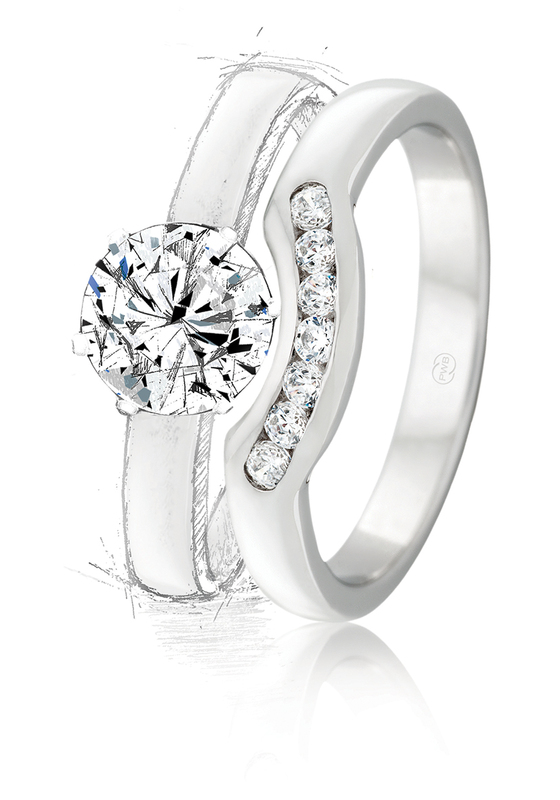 Try to find a Wedding Ring that will match the style of your engagement ring. Choosing the same profile and same width as your engagement ring will mean the design will fit comfortably on your finger and feel similar to your engagement ring, encouraging you to wear them together. If you have a diamond in your engagement ring, you may want to pick the same setting and diamond shape so that the two rings complement each other. Often the Wedding Ring is worn without the engagement ring after the wedding so considering your job and day to day activities may help in your final decision. Click here to learn about what you may need to consider when choosing a Wedding Ring for Him.